Halloween is about costumes, scaring people and of course candy! And it is OK to admit that you may sneak a piece or two from the kids stash. 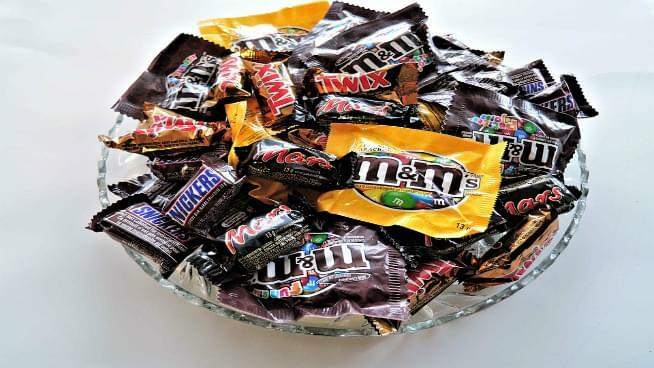 But, after all the fun of going door to door, do you realize how many calories are in a bag of Halloween candy? The average Halloween plastic pumpkin holds up to 250 pieces of candy. That translates to almost…..9000 calories! Yikes!!!! 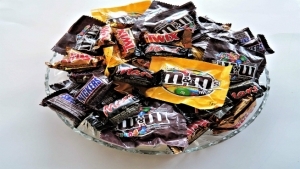 Here are the best and worst candy choices with the ghoulish holiday coming up. Smarties are only 25 calories for the whole mini-roll. Each Starburst is only 15 calories. And a fun size 3 Musketeers only has 63 calories. Have a safe and fun time Trick-Or-Treating with your kids. And make sure to eat the candy in moderation. That is if you are sneaky enough to snag a piece or two.